Wu Shen Tao is raising money to send a team, lead by senior students Stephen Genus and Daniel Nightingale, to two major tournaments in 2018. 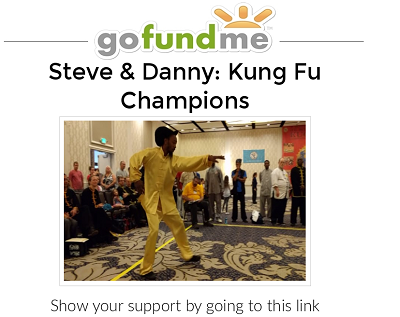 If you have ever received their corrections in class or pushed with them on Saturday mornings and Thursday evenings, then you know Steve and Danny have achieved an admirable level of skill. We know they'll make us all proud, and we think they can win a lot of medals too. Tournament travel is expensive. Please consider donating and forwarding this campaign to your friends, so we can help defray the costs.